Your floors really need protection from the damage that can be caused by chair caster wear and tear. Don't let chair wheels rip up your carpet investment because frequently moved furniture, tables, trays can damage carpet fibers. 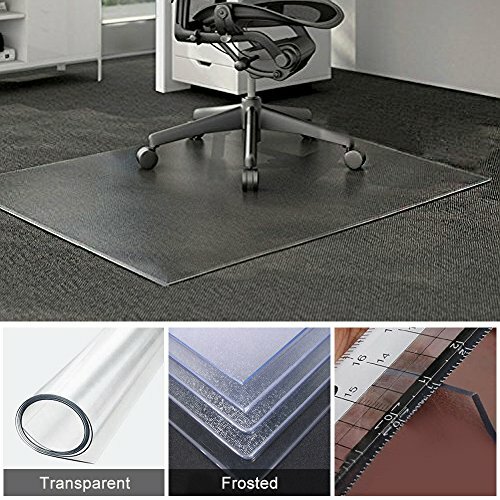 Home Cal Floor Protection Mat are made with soft and high quality PVC material. More safe and attractive for most people. Stronger, and resist high temperature,do not discolor can be used in study room, living room, kitchen,balcony,washing room,etc. This mat will allow the beauty of your floors to shine through, and will protect your carpeted areas from wear and tear. It's easy to move and clean. They are ideal for all areas of the office and home. If you have any questions about this product by Home Cal, contact us by completing and submitting the form below. If you are looking for a specif part number, please include it with your message.